On the rise: A man walks past the Employees Provident Fund headquarters in Kuala Lumpur. Remuneration of GLC chiefs, senior management and directors have been on the uptrend following a transformation initiative to make them more competitive commercially. A GLANCE at one of the annual reports of the country’s government-linked companies (GLCs) reveals that its chief human resource officer earned close to a million ringgit or about RM80,000 per month, last year. Other senior personnel were also compensated with generous remuneration, with its chief executive taking home over one and the half million ringgit in financial year 2017. More importantly, this was at a company that had courted much controversy in recent times over allegations of mismanagement and under-performance. Such a scenario, however, is not uncommon at GLCs, where remuneration of key executives tend to run in the millions but performances sometimes leave much to be desired. By definition, GLCs are companies where the government has a direct majority stake via their entities such as Khazanah Nasional, Employees Provident Fund, Permodalan Nasional Bhd (PNB), the Armed Forces Fund (Lembaga Tabung Angkatan Tentera) and the Pilgrims Fund (Lembaga Tabung Haji). In recent years, remuneration of GLC chiefs, senior management and its directors have been on the uptrend following a transformation initiative to make them more competitive commercially. The thinking behind this is that in order to attract talent – subjective as the definition of that may be – top dollar should be paid. Some, however, argue that GLCs should in fact prioritise national service a little more. Universiti Malaya’s Faculty of Economics and Administration professor of political economy Edmund Terence Gomez says GLCs have social obligations. “What this essentially means is that GLCs cannot operate in a purely commercial manner as they also have to look at the social dimension,” he says. “The GLC professionals have many times articulated that they are doing national service. Going on that alone, one can argue that they shouldn’t be paid private sector salaries,” Terence adds. And so it is now, there is a disquiet building up among GLCs following the change in government. The new government has clearly said that there is a need to review the role of GLCs and the remuneration paid out to their top executives and senior management. In this regard, the Pakatan Harapan government is understood to be mulling over making drastic changes in the appointment and remuneration of key directors at GLCs which include government agencies. 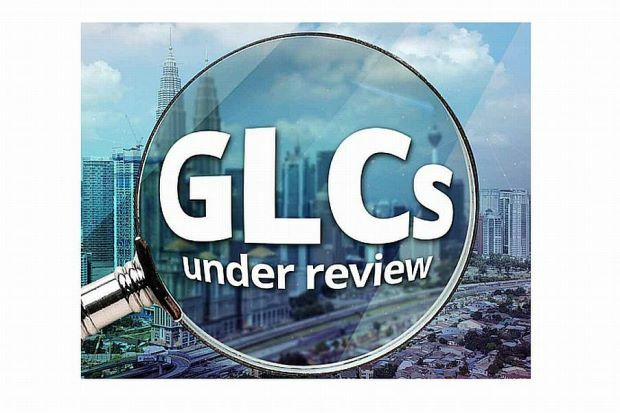 It was reported recently that the Council of Eminent Persons, headed by Tun Daim Zainuddin, who was Finance Minister in the 1980s, has requested details of the salaries of some of the top executives at GLCs as part of the review. Already, there have been a couple of GLC chief executives who have left and more of this is expected to materialise over the coming weeks. “It appears to be a purge of Tan Sri Nor Mohamed Yakcop’s boys,” quips an industry observer, referring to the veteran politician who was instrumental in the revamp and transformation of Khazanah which started in 2005 and subsequently, driving the GLC transformation initiative. UM’s Terence says if the new government is to appoint new individuals, it must ensure that the process is transparent. “If you are removing these people, who are you replacing them with? More importantly how are you selecting these people? He adds there needs to be a transparent mechanism in the appointment of this new breed of professionals that will be brought in and what must also be looked into is the kind of check and balances being put in place to ensure governance. “There should be a debate on these things,” he says. Economist Yeah Kim Leng believes that a review is timely and appropriate as part of a deeper institutional and structural reform. “The broad aims are firstly, to reduce excessive payoffs which don’t commensurate with performance and secondly, to address the widening wage and benefits gap between the top and bottom rungs of the organisation,” he says. Such rationalisation will result in a more equitable salary structure as well as raise the generally depressed wages of middle management and support staff which form the largest number of most organisations, Yeah adds. The role of a head honcho, be it at a GLC or non-GLC, is seldom a walk in the park. CEOs make critical operational decisions that affect everything from future business directions to the health of a company’s balance sheet and employee morale. The job generally entails long hours and tremendous pressure to meet expectations of shareholders and stakeholders. But again, while local GLCs have been key drivers of the economy, one key feature is that they are ultimately owned by the government. This, some argue, give GLCs unfair advantages such as access to cheap funding and political patronage over their private counterparts. So, is running a GLC more of a stewardship role as opposed to an entrepreneurship role? Therein lies the issue that in turn will have a bearing on the remuneration levels of GLC heads. Minority Shareholders Watch Group (MSWG) chief executive office Devanesan Evanson puts it this way. “Entrepreneurs have their skin in the game in that there are often the major or substantial shareholder in a company. “It is in their direct interest to perform as this will be translated into share price appreciation which will impact the value of their shareholdings – this is motivation to grow the entrepreneurial spirit,” he says. On the other hand, GLC heads do not have their skin in the game save for their limited shareholding through ESOS or share grant schemes. “If a GLC loses money, the impact on them is limited. They may be prepared to take perverse risks as the eventual loser is the government-linked investment companies or GLICs (and the minority shareholders of the GLC), which eventually are the people who are the members or subscribers of the GLICs. “In that way, we are not comparing apple to apple and yet, we need talent to run GLCs. “So we can conclude that, we need to pay for talent at GLCs but it should not be as much compared to what one would pay the CEO of a firm which he started,” Devanesan says, noting that remuneration of some of the GLC heads have risen too fast in recent years. Rising remuneration is a given, others say, as the government had recruited top talent from the private sector to helm these companies. A case in point is Axiata Group Bhd , which has done relatively well with the infusion of the “entrepreneurial spirit” under the helm of president and group CEO Tan Sri Jamaludin Ibrahim, who has helmed the Khazanah-owned telco since 2008, they point out. Prior to that, Jamaludin was with rival Maxis Communications Bhd, a private company controlled by tycoon Ananda Krishnan. Other GLCs which have performed consistently over recent years include banks like Malayan Banking Bhd and CIMB Group Holdings Bhd which have expanded their operations out of Malaysia, carving a brand name for themselves regionally. Under a 10-year transformation programme for GLCs initiated in 2005, companies were given quantitative and qualitative targets to meet as measured by key performance indicators. Now, the 20 biggest GLCs currently make up about 40% of the local stock market’s market capitalisation. One of the principles under the programme was also the national development agenda, which emphasised the principle of equal growth and development of the bumiputra community with the non-bumiputras. Asian Strategy and Leadership Institute (ASLI) Centre of Public Policy Studies chairperson Tan Sri Ramon Navaratnam says the purpose of establishing GLCs to encourage bumiputras to participate in business has largely been fulfilled. “Now that the bumiputras are on a strong footing in the corporate sector with able leaders who have wide experience, it (GLCs) could be seen as an erosion to the welfare and progress of the smaller and medium-sized industries, particularly those where other bumiputras are involved,” Ramon says. Having said that, he says although many GLCs are doing well, they have performed well “mainly because of protective policies and monopolistic practices”. Still, if simplistic comparisons are to be made, the CEOs of the country’s two largest GLC banks, Maybank and CIMB for instance, took home less than the CEO of the country’s third largest bank, the non-GLC Public Bank Bhd last year. In 2017, Public Bank’s managing director Tan Sri Tay Ah Lek took home some RM27.8mil in total remuneration while Maybank’s Datuk Abdul Farid Alias earned RM10.11mil and CIMB’s Tengku Zafrul Abdul Aziz made RM9.86mil. Across the causeway, a survey of CEO remuneration of Singapore-listed companies by one financial portal shows that Singaporean GLC CEOs earned 31% more than their non-GLC counterparts in 2017. Singapore’s Temasek Holdings-owned DBS Bank, which is Singapore’s largest bank, paid out S$10.3mil (RM30.36mil) to its head honcho, while in the telecommunication sector, SingTel’s remuneration to its top executive was some S$6.56mil (RM19.34mil) for the most recently concluded financial year. By definition, Singapore GLCs are those which are 15% or more owned by the city-state’s investment arm Temasek Holdings. UM’s Terence does not think Singapore should be a benchmark for Malaysian companies. “Singapore is a much smaller country and the manner in which they operate in is also different ... their GLCs are deeply conditioned by their holding company, which is the Minister of Finance Incorporated,” he says. MSWG’s Devanesan notes that determining remuneration is “not exactly science” as there are many parameters to be considered. Some of the factors to note include whether the companies are in a monopolistic or near monopolistic position and the performance of the GLC heads over the years. “Based on these parameters, we can instinctively know if a GLC head is over-remunerated,” he says. Over in China, state-owned Industrial and Commercial Bank of China (ICBC), the country’s largest lender by assets, paid out about 63.43 yuan or about RM39mil in total remuneration before tax for the year 2017 to its top executive. Notably, the Beijing-based ICBC’s net profit’s was at a whopping US$45.6bil (RM182bil) in 2017. Some officials singing 'Hebat Negaraku'. Several heads of government-linked companies (GLCs) have come together in a heartwarming music video titled "Hebat Negaraku" (my country is great). The heads of government linked companies (GLC) who sang a song that later became the theme song for the Barisan Nasional’s election campaign have distanced themselves from the controversial music video. Those who sang and played musical instruments in the music video titled “Hebat Negaraku” (my country is great) said they did not know the video or the song was going to be a political theme song. There have been repercussions on the CEOs who appeared in the music video. They have come under scrutiny for making a song that was used as propaganda by Barisan in the last general election. Three of the GLC bosses in the video have either retired or resigned since the new government took over. Several more have been speculated to leave in the coming weeks or months but nothing is cast in stone. Sources said this is because most of the CEOs are not known to have campaigned openly for either Barisan or Pakatan Harapan. “None of the CEOs had a clue it would become a political song. Do you really think the CEOs would have done it if they knew it would become political?” asked one of the CEOs who appeared in the video but declined to be named. It all started when several CEOs were called to be part of a music video and they thought it was to showcase the musical talents of 14 GLCs heads, plus staff members of the 20 key GLCs. The song is about the greatness, advancement and inspiration of Malaysia. It was released on YouTube on March 22 but has since been taken down. But fingers have been pointed at the GLCs bosses who made the music video because it became a political video. Datuk Seri Shazalli Ramly has been said to be the main orchestrator for the group in terms of making the music video. He was also said to be the branding chief for Barisan’s elections campaign. Barisan lost the elections held on May 9 to Pakatan, which has since formed a new government and is scrutinising all the performance, processes, remuneration and procurement of the government and GLCs. Shazalli quit his job as group CEO of Telekom Malaysia Bhd (TM) on June 6. Malaysian Resources Corp Bhd (MRCB) group managing director Tan Sri Mohamad Salim Fateh Din has retired as group MD last week and it was something he had planned to do. Malaysia Airports Holdings Bhd Datuk Badlisham Ghazali did not get his contract renewed. All three were in the music video. There is a GLC secretariat that now comes under the purview of TM, which was earlier parked under Khazanah Nasional Bhd. The secretariat organised the making of the music video, according to sources. The CEOs were called to attend a session and within a few hours it was all done with no prior rehearsals. “When you are called, it could be difficult not to comply since it is the secretariat that called you. We have to oblige but we really did not know it was going to be a campaign slogan. This is really unfortunate that it has turned out like this. “We were surprised when we found out it was a party slogan but it had already been done and what can we do, we are in the picture,’’ said another CEO. Govt Linked Companies (GLCs) - Monsters in the house?